Living River Siam Association (LRS) is a campaign-based organization, working to support local communities’ rights to their water resources, promote local knowledge-based sustainable water resource management, and oppose threats to rivers and riverine ecosystems in Thailand and neighbor countries in the Mekong and Salween River Basins, such as large-scale dams and water diversion projects. Living River Siam Association, former Southeast Asia Rivers Network (SEARIN), was launched on March 14, 1999, the International Day of Action Against Dams and for Rivers, Water and Life. On 8 February 2011, LRS was registered as Public Benefit Organization (PBO) under Ministry of Social Development and Human Security with the registration number 2487. 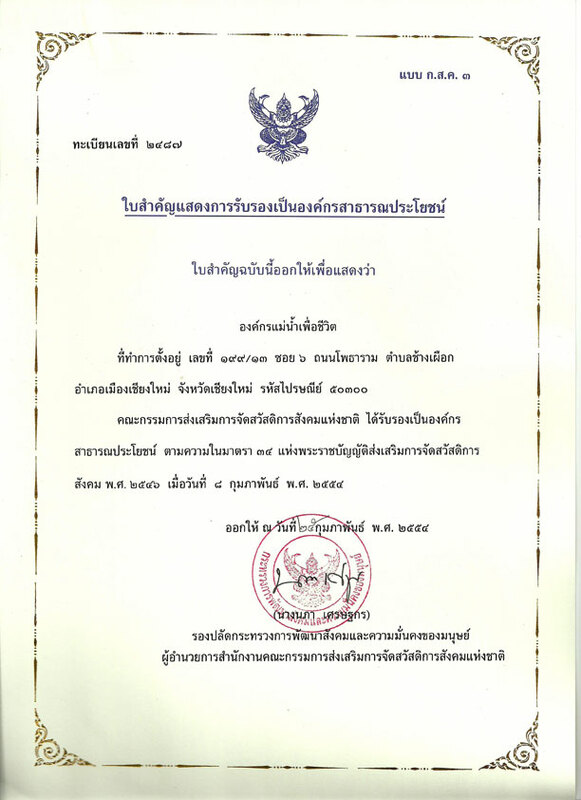 On 21 December 2012, LRS was registered an association with registration number 20/2555. LRS was established by academics and NGO activists who have been working on social and environmental issues in Thailand, particularly on the environmental and social problems caused by large-scale dams, and state policies on resource management. more about LRS in a Thesis "The Role of Alternative Online Environmental Media in Thailand for Sustainable Development in the Greater Mekong Subregion"